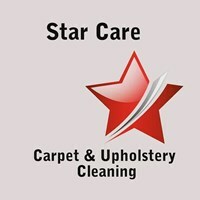 Starcare Carpets and Upholstery Cleaning - Cleaning Services based in Southwater, West Sussex. Hi I'm Chris. I've been doing carpet & upholstery cleaning since August last year. I started working for a company in London. Now I'm working for my self. I was in the British Army and served for 8 years and got made redundant. I'm Professional, Hard Working and friendly. We are fully Insured. From single room to full property, to commercial buildings. Our qualified and considerate technician will deliver stunning results. Star Care will take care of your home and treat it as there own. You won't be disappointed. We will leave you with a smile! I do not specialize in dry cleaning. Ex Army, Served for 8 years. Then got made redundant in 2012. I attempted many Jobs but never found the one I loved. Then I started carpet cleaning and have never looked back.